Sent by influenster for review purposes. 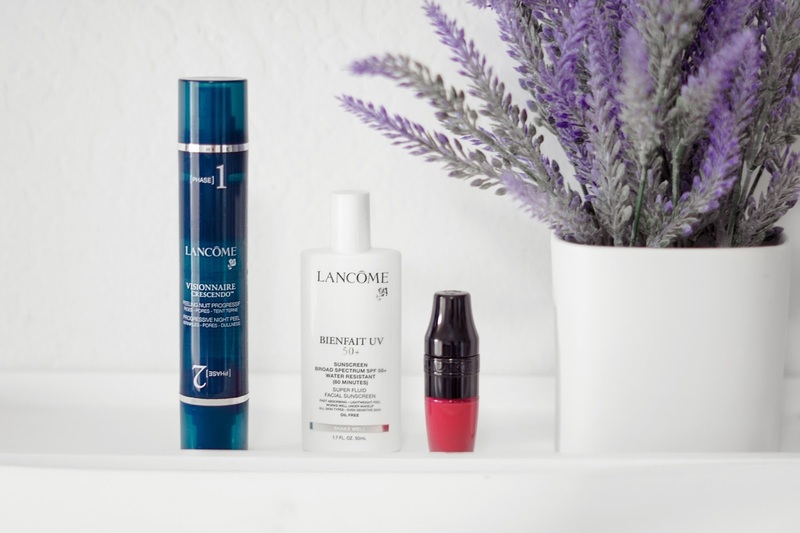 I was sent 3 weeks ago this awesome voxbox by influenster containing all Lancome products. I was so excited to try them specially the Visionnaire Crescendo. One of Lancome's best selling products are the Visionnaire Line so I knew this product would be amazing. The way you are meant to use this product is by using it at night starting with Phase 1 for 14 days, after 14 days you want to continue with Phase 2 for another 14 days; which is a total of 28 days. You are suppose to always use SPF in the morning which the BienFait UV 50+ came in handy. Visionnaire Crescendo is suppose to help with any uneven tones in the skin, texture, fine lines and pores. All these things appealed to me. I started like it stated using Phase 1, I kid you not I saw a difference the next morning my skin was glowing. I continued on using it and at about the 12 day I saw my texture reduce, my skin was so smooth that I was in love. I did not notice a change in my pores but that is not something I feel I have an issue with my pores aren't large. When Phase 1 came to an end I started Phase 2 and by the next day in unfortunately broke out really bad. I was so disappointed because Phase 1 was the best product I've tried for texture. I decided to stop the use of Phase 2 so I didn't see that my skin was evened out. 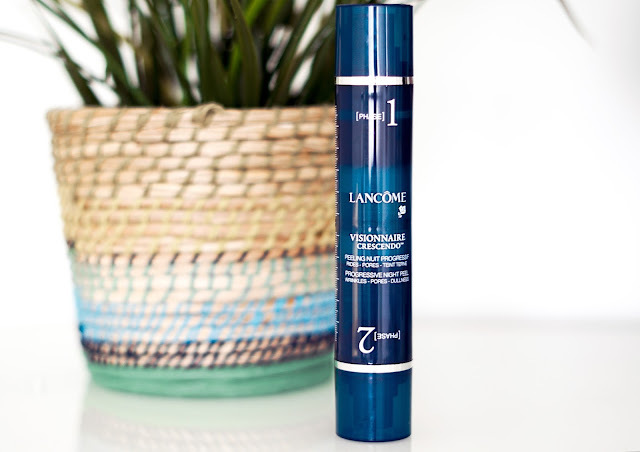 Overall: Visionnaire Crescendo is a great product. Even though Phase 2 did not go well with my skin, I feel if you are sensitive this product can be a bit much. But Phase 1 is definitely a HG status. I'd say go out and try it out for yourself, it can really change your skin.